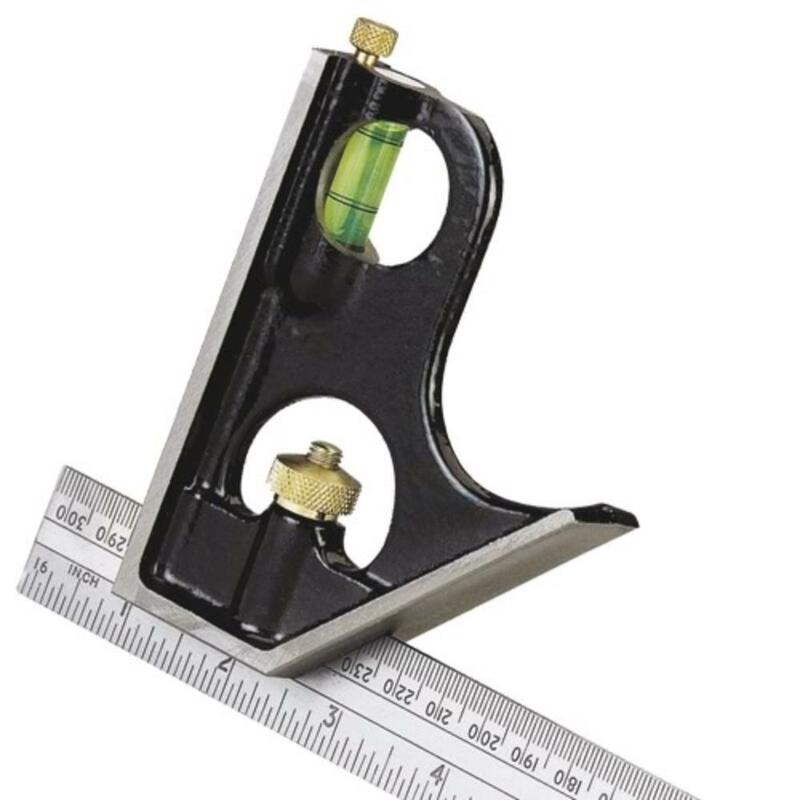 Stanley 046151 | Combination Square 300mm/12"
Try square, mitre square, depth or height gauge and spirit level. Combination Square 3000mm with cast iron stock, robust for heavier duty use, a professional combination square for accuracy & long life, blade etched with imperial/metric graduations in mm & cm and inch and 1/8" and 1/16". 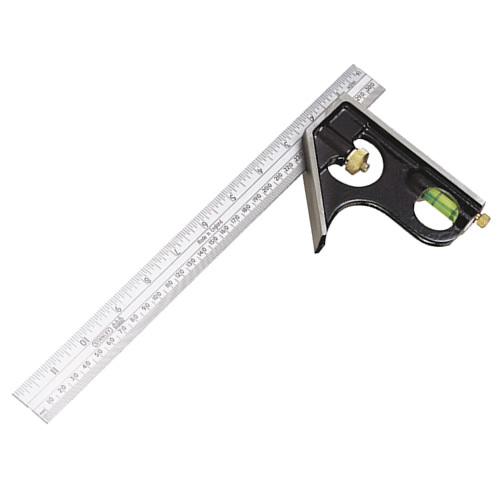 Can be used as a try square, mitre square, depth or height gauge and spirit level. Machined on all faces for Class I accuracy.